Drivers traveling eastbound on State Road (S.R.) 44/New York Avenue in downtown DeLand can expect a weekend detour to accommodate concrete repair work at Amelia Avenue. The detour is expected to begin around 6 p.m. Friday, July 13, and last through Sunday, July 15. Additionally, Amelia Avenue will be closed to through traffic between Rich and Howry avenues from 9 a.m. to 4 p.m. Thursday and again from 9 a.m. Friday through Sunday. During the closure, eastbound traffic will use Alabama, Howry and S. Arlington avenues. Westbound S.R. 44 will remain open, and access to businesses and residences will be maintained. The work is part of a Florida Department of Transportation (FDOT) project to repair and replace sections of concrete roadway along S.R. 44 between Boundary and Hill avenues. Electronic message boards will be used to alert motorists of impacts. Please note work schedules could change due to weather or other unforeseen circumstances. 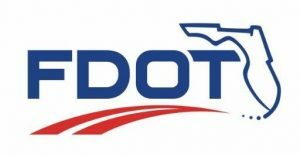 Updates will be available on the FDOT’s Central Florida website CFLRoads.com.